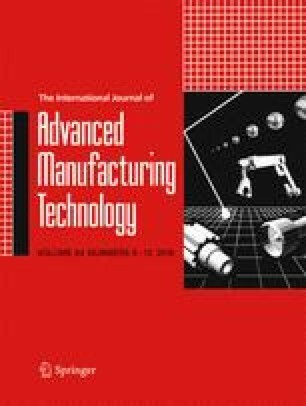 A new model is proposed for the lean production of carbon fiber reinforced plastic (CFRP) airframes. Our method improves the production rate by determining the ideal human-capital balance and inventory density on the factory line. The proposed model is derived as a two-step process: First, an analytical solution for the learning rate shift with a human-capital ratio is obtained by merging the Wright learning curve model into the Cobb-Douglas production function. Second, the solution is factored by an asymmetric simple exclusion process (ASEP) cell automaton model to assess whether the inventory density negates the theoretical learning effect. Recent moves toward lean production mean that aerospace CFRPs have a limited shelf life, minimizing buffer periods under metastable and stable production in the time discrete ASEP model. The shift from metastable to stable changes the production rate. Combined with the fact that ASEP is known to drastically reduce throughput if the production steps are not harmonized, the shipment probability p at each step becomes less than 1. Therefore, the human learning effect, which can alter the shipment rate, must be controlled so that p=1 at each production step. This paper describes the analytical aspects of the apparent learning rate to determine adequate values for the human and capital resources, and thus harmonize the learning rates of the production steps. The analytical model shows that factory planning dominates the production rate of CFRP aerospace components. The model is applied to Boeing 787 production data, and it is found that a reduction in inventory density could improve the apparent delivery rate up to the maximum of the human potential.